2018 FIFA World Cup is done and dusted. 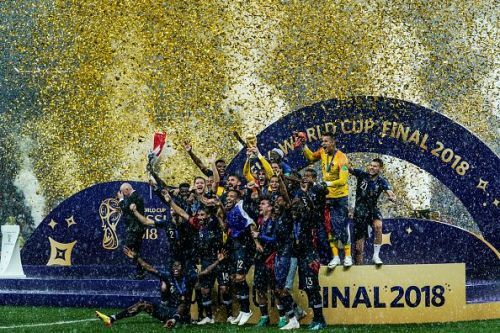 France defeated Croatia 4-2 in the finals on Sunday to win their second World Cup title. Mbappe and Pogba were the stars of the show for the Champions while Perisic and Mandzukic were the key performers for Croatia. Harry Kane won the Golden Boot for six goals in the tournament while Luka Modric won the Golden Ball award for the Player of the Tournament. Belgium's Thibaut Courtois picked up the Golden Glove award as the best goalkeeper in the tournament. Teams like Mexico, Russia, South Korea, and Croatia surprised many in the group stages with some great performances. Though players like Cristiano Ronaldo, Lionel Messi, Toni Kroos, and Andres Iniesta were eliminated early in the tournament, some of the young players took the World Cup by storm. On that note, let’s take a look at the five relatively unknown players who became a global superstar at the World Cup. Although he wasn’t in the starting eleven for Russia’s first game of the World Cup against Saudi Arabia, Cheryshev was Russia’s best player in the tournament with some scintillating performances. He got the opportunity because of an injury to Alan Dzagoev in their opening game and never looked back after that. When no one gave Russia any chance in the World Cup, Cheryshev’s four goals from five games took them to the quarter-final of the tournament. The 27-year-old scored a brace in the World Cup opener and then scored a goal against Egypt in the next game. He then scored a stunning goal against Croatia in the quarter-final but lost the game in the shootout. The Former Real Madrid star currently plays in La Liga with Villarreal and could make a summer move to any of the top European clubs after his superb World Cup exploits.